In 2014, Whitaker chaired the campaign of Sam Clovis, a Republican candidate for Iowa state treasurer. Clovis went on to work as a Trump campaign adviser and has become a witness in the investigation by special counsel Robert Mueller. The two people close to Whitaker also said they strongly believe he would not approve any request from special counsel Robert Mueller to subpoena the president. Mueller and President Trump’s lawyers have negotiated for months about a possible interview, with no agreement in sight. 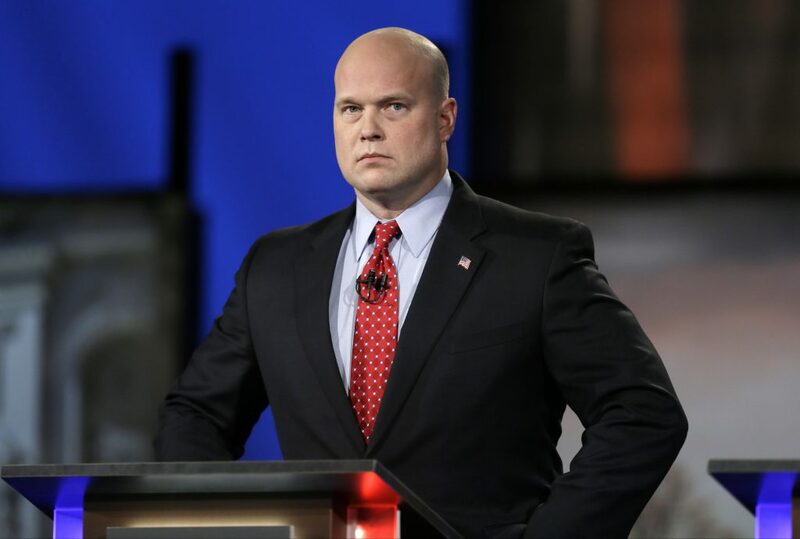 Whitaker’s elevation to become the nation’s top law enforcement official followed the resignation Wednesday of Jeff Sessions as attorney general. Sessions had endured months of public abuse from President Trump, who soured on Sessions because he recused himself from oversight of the Russia investigation shortly after he arrived at the Justice Department. Even after he arrived at the Justice Department, Whitaker harbored frustration about the length of the special counsel probe and doubts about the scope of Mueller’s authority, a person familiar with the matter said. He questioned Deputy Attorney General Rod Rosenstein’s ability to give Mueller such wide latitude and wanted to explore the bounds of what Mueller was examining, though Rosenstein kept Session’s office “walled off” from the matter, this person said. Whitaker did, however, believe that Sessions had no choice but to recuse himself from the matter, the person said. Rosenstein and Whitaker both were present at the investiture of Supreme Court Justice Brett Kavanaugh on Thursday — Whitaker dressed in a “morning suit,” which included formal trousers, a vest and a long coat, a person familiar with the matter said. While Whitaker is now Mueller’s ultimate supervisor, it was not immediately clear whether that meant Rosenstein would step aside. Justice Department officials said that under normal circumstances, the deputy attorney general would likely play an active, hands-on role in overseeing such a high-profile probe, and they had no reason to believe that Rosenstein would now be cut out. Initially, Sessions chose Jody Hunt, a longtime Justice Department official, to be the top aide in his office, while Whitaker made a name for himself in Washington via media appearances and his work with the conservative Foundation for Accountability and Civic Trust. On Wednesday evening, Sessions gathered dozens of top Justice Department officials in the attorney general’s conference room, according to a person familiar with the matter. He talked about loving the job and framed his removal as something that happens to every attorney general, the person said. He also said he thought Whitaker would carry the torch.